Democratic Gov. Neil Abercrombie [= governor of Hawaii] wants to find a way to release more information about President Barack Obama's Hawaii birth and dispel conspiracy theories that he was born elsewhere. ...Abercrombie, originally from New York, befriended Obama's parents at the University of Hawaii after he moved here in 1959, the same year the islands became a state. Hawaii is relatively small, but still a very big place for bumping coincidentally into a friendship with the family of a future president. There's got to be more to it. It could be that the family had some significant ties to liberal government radicals. Wikipedia says that Abercrombie met Obama's parents at classes in Manoa's university. There's a very good chance that "Manoa" is purely a Hawaiian term, but similarity with "Manoah," Samson's father, became interesting when I noted that Abercrombie married a Caraway surname with a Coat symbol smacking of the Guiscard "pile." Moreover, as Obama is known to belong to Cecil-Rhodes Illuminatists (because he chose a non-proportionate number of Rhodes Scholars for his government team), I see that the Caraway Coat includes leopards (in Rhodes colors), a symbol of the Rhodes Crest. Then, because Abercrombies and Crombies were from Fife and neighboring Aberdeen, one could surmise that the "Aber" portion of "Abercrombie" is for ABERdeen elements, leaving "Cromb" as the root. There is a Crum/Crombie surname (lion in Rhodes-lion colors), and like the Abercrombie clan it was first found in Fifeshire. The point here is that the Cromwell surname (pelican) was first found in Lincolnshire, where the Rhodes surname was first found, while "Caraway" smacks of Caria, what was continental Rhodes. It's also interesting that the recent topic, the 666-Pforzheim location in Germany, was traced to Fife elements as per a Foret trace (of mine) to Fife. MOREOVER ZOWIE, it just occurred to me as I finished that last line, that I should check the Vey/Vivian Coat because I had traced "Viv" solidly to "Fife," and LOOKIE: the Vey/Vivian Coat is a near match with the Cromwell Coat! As Veys/Vivians were first found in Cornwall, the Cromwell term may be a Cornwall variation. On the other hand, "Caraway" smacks of Cara-Vey, which could modify to "Carabey>Crombie. This is becoming extremely interesting. French Veys (red cinquefoils) were first found in Languedoc, where the Rhodians lived as per the Rhodanus river. Wallers were first found in knot-like Nottingham. The Waller-Coat tree is said to be a walnut, the same tree exactly as in the German Lind Coat. The Lind motto phrase, "solius dei," smacks of Helios the sun god (his island was Rhodes)! The Watt-like Witts/Wyghts, quite apparently a White-surname variation, were first found in Lincolnshire, and are said to be derived in a Uat-like "Uuit." They use a hand/palm, which I recognize as the hand of a clan (the name of which I can't recall) with an all-seeing eye in the palm. This clan leaves the eye out. Watts use the all-seeing eye. I was stomping all over the Rhodian Illuminati there. One point to deal with is that I found an eye-in-palm yesterday in the Baden/Baten Crest. The other point to make is that the Wallers were first in Nottingham, wherefore see the Cromwell write-up: "The roots of the Anglo-Saxon name Cromwell come from when the family resided in the parish of Cromwell in the county of Nottinghamshire, a diocese of Lincolnshire." It's known that Oliver Cromwell was allied to certain Rosicrucians at a time immediately after the Atlantean Rosicrucians, John Dee (there's a Dee river in AberDEEN) and Francis Bacon, had infiltrated the British royal courts to the point of manipulating its affairs. Oliver Cromwell married a Bourchier surname, which is listed under the Bouchiers that were one of the clans for which the water bouget symbol was formed. But the Bugs surname uses the bouget too, and Bugs' were first found in Nottingham. Therefore, the bat in the Bugs Crest could be code for elements of the Baden/Baten surname. The Bowser/Bowesar/Bowsher variations of the Bouchiers, and the Bogen-like Bugs surname, (German Bugs use "Buggen") is one major reason for tracing the clans to the Bogan>Bauer/Bower bloodline of Bavaria ("bogen" is German for "bow"). Now to the red eagle of the Crombie Crest, for it was a Zahringen (of Baden) symbol too...that was traced in the last update page to the Hays/Hayers and related Alliers-et-al. Recalling the logical idea that Hayers were Hagars because both clans were first found in Perthshire (beside Fife), the first point to be made here is that the Taise/Tawse/Tise surname was first found in Perthshire, and it uses the Campbell design in Campbell colors, while the Allier Coat also uses the Campbell design. I say that due to the "Tace" motto of the Abercrombies (from Fife). Then, in the Hay/Hayer write-up: "The King rewarded the family with many grants of land including the Carse of Gowrie on the River Tay." The Tays/They surname, smacking of the Tace motto, "is derived from the Old French given name Tieis." The Gaelic form of "Hayer" is said to be "Garaidh," which may connect with the Garraway variation of the Hayer-colored Caraways. If true, it could reveal that Carians were named after a "Hagar" variation. I do recall tracing Hagarites of Edom back to Hurrians of Haran, ruled afterward by Mitanni. Then, I found Mitanni elements at Caria. I maintain that the Egyptian Atun cult, from a queen Tiye, was a Mitanni bloodline. Tiye and her mother, Thuya, smack of the Tay/They surname (footless martins) with Teye variation. Back to the bat symbol of the Bugs Crest. French Bats were first in Languedoc; they use the same castle as the Dutch Veys, and since the latter use a boot in Crest that I see as code for Bute (i.e. Morgan le Fay of Avalon=Bute), it brings to mind my (years-old) trace of the Batavians (Dutch theater) to "Bute." I've already mentioned several times that the English Bat Coat uses the same bat design as the Randolph Crest (i.e referring here to an Obama bloodline); that the Bat Crest uses the same wolf design that I trace to multiple lines of Obama; and that the Bats were first found in Rutland, the place to which I trace the Rodham surname. The reason that I trace Rodhams to Rutland is because that location was/is a part of Leicester, while the Arms of Leicester uses an ermined cinquefoil, smacking of the Rodham cinquefoils. Ligurians that founded Leicester were likely merged to a large degree with the Rhodians of Languedoc, and I trace swan-cult Ligurians to lake Geneva. French Veys/Vais'/Vaits, first found in Languedoc, use cinquefoils in Vaux/Vallibus colors. It's known by me that the Vaux clan was in some way the Wells clan, and so we find that Wells were first found in Lincolnshire, suggesting links to the Wallers of Nottingham (i.e. of Lincolnshire elements). BUT as Veys>Morgans were traced to Morges of Switzerland's lake Geneva, so the Wells were traced to Wallis to the east side of lake Geneva. From the 5th update of this month: "The Morgan surname (and Avalon's Morgan le Fay) was traced to Morges, near Lausanne, because the city of Vevey/Viviscus (in Vey-Shield colors) is nearby. Morges and Vevey are in Vaud canton..."
That's very good evidence that the Veys were the Vaux>Wells clan. It all suggests that the Cromwells, who use nearly the Vey Coat, are from the lake Geneva theater too (where I imagine that Sionist Rosicrucians developed). As evidence, the Crum/Crombie Crest uses the Waller walnut tree. German Wellners/Wellers use a swan-like pelican (on nest), symbol of the Cromwell Crest. The Waldner surname, known for a fact to be named after the Wallis canton of Switzerland, uses what should be a variation of the Cromwell (and Vey) Shield. The Rodham motto includes a "nec" that I'm tracing to the Neckar river. The motto also uses an "alter" term now evoking the Altens (Robin Hood in Crest) of Nottinghamshire. The Alten and Rodham Coats share the similarity of white-on-red bands. Interestingly, German Altens (from Brunswick, where I expect Bernician bloodlines) use white-on-red roses (five petals like the cinquefoil), the colors of the Leicester cinquefoils. The Crombie cross is called "bottony," which could be code for the Biden/Button surname. Norilsk Nickel may put minority shareholders at a disadvantage through a proposed general buyback, said Nathaniel Rothschild, chairman of billionaire Oleg Deripaska's En+ Group. I'm not interested in the story, just the major players. Wikipedia: "Potanin's Interros owns 25% and controls Russian Nickel giant Norilsk Nickel, a company owned by Oleg Deripaska's RUSAL..."
The latter company reminds me of the Rothschild link to the Russell surname, and clicking on the Oleg-Deripaska link, sure enough, we find one: "Oleg Vladimirovich Deripaska is...a member of the Board of Directors and CEO of United Company RUSAL, a Russian aluminium industry company. Deripaska has a London home in Belgrave Square, which was originally the town residence of the Dukes of Bedford." Clicking on the Dukes of Bedford link, we find that the first duke was of the Russell surname, and "The Russell family currently holds the titles of Earl and Duke of Bedford...The subsidiary titles of the Duke of Bedford, all in the Peerage of England, are: Marquess of Tavistock..."
The Russell surname, moreover, was first found in Dorset, the area of southern England where the Puters moved into, and where the Puttens live(d). The latter show a Pottone variation, much like "Potanin." Then, searching for potential Potanin variations, the black-on-while Botan/Boden Coat was found. When clicking over to the Scottish Botan/Boden Coat, there was a quartered black and gold Shield, seen yesterday in the Bavarian Ottinger Coat! That again (see yesterday's update for "Boden") verifies that the Bodens were Odins/Wodens (the Boden motto uses "audentior"). The Puttens were linked some weeks ago, not just the Puters of Devon, but to the Trebys of Devon because both Coats use gold roundels on black. This is being mentioned because "Traby" came to mind when I saw the Deripaska surname. Botans/Bodens were first in Staffordshire...beside DERBYshire where I trace Darby-like Trabys/Trebys. AND, as the Ottingers were linked just yesterday to HohenZollerns, the related HohenStaufens were traced to STAFFordshire. We can expect Rothschild links to the Cohen/Hohen Khazar "Jews." The Staff surname of Staffordshire looks like it could link to the red-on-gold band that is the Arms of Baden, and the latter location certainly smacks of "Boden." What I think we have in this discussion is a link between Russian Putins, Rothschilds, and Baathist roots. It's precisely the anti-Christ beast/empire that I'm expecting which includes an Illuminatist False Prophet. As for the Nathaniel Rothschild mentioned in the Russian article above, see: "...Rothschild, whose main residence is in Klosters, Switzerland, is the only son of U.K. financier Lord Jacob Rothschild, the 4th Baron Rothschild..."
In July 2010 Vallar Plc, a Jersey-incorporated investment vehicle founded by Nathaniel Rothschild, raised £707.2 million ($1.07 billion) in an Initial public offering on the London Stock Exchange. Vallar is led by Rothschild and James Campbell, a former Anglo American PLC coal and base metals chief. Together with other members of the Vallar management team, they have invested £100 million in shares of the company. Vallar Plc will focus on investments in mining of metals, coal and iron ore in the Americas, Russia, Eastern Europe and Australia." There is a Dutch Valar Coat that could be a variation of the red bar in the Arms of Baden. The green-Shielded Dutch Valance surname could be Rothschild significant because the Scottish Valence Coat looks like the EU flag but using footless martins instead of stars. The stripes in the latter Valence Coat could be those of the Lazards: "[Nathaniel] Rothschild began his career in 1994 at Lazard Brothers Asset Management in London, before joining Gleacher Partners, the New York-based mergers and acquisitions (M&A) advisory firm founded by Eric Gleacher, former head of M&A at Morgan Stanley and Lehman Brothers." The surnames above have already been mentioned alongside the Failins/Phelans using what looks like the Bavarian lozenges. The Brookings Institution is a nonprofit public policy organization based in Washington, D.C., in the United States. One of Washington's oldest think tanks, Brookings conducts research and education in the social sciences, primarily in economics, metropolitan policy, governance, foreign policy, and global economy and development. ...The organization's president, Strobe Talbott, was United States Deputy Secretary of State under President Bill Clinton. English Talbots lived in Lincolnshire. That's where Lucy Taillebois (wife of Ranulf le Meschin) held her holdings. French Talbots use the same bar (and in the same colors) as the Cromwell Shield, while the latter clan was first in Lincolnshire. You get it. Talbots were involved with the Veys and Morgans (see yesterday) out of Switzerland (I'm thinking certain Swiss banks that assist in illegal/unethical global activity for the super-rich), and that evokes JP Morgan banking and it's "child," Morgan Stanley. But I traced Rothschilds to the Macey/Mackay surname (Tolkien concentrated on Rus clans touching upon the Mackays-et-al, not to mention that he concentrated on rings of power belonging to Sauron=Saracens), and so we find that a Mack surname now heads Morgan Stanley. That makes sense because Morgans are a sept of Mackays. There is a Dutch Mack/Mackay Coat using the Massey Shield and Massey horse/pegasus. Then, the Massey colors are used as stripes in the Borderlands Mack Coat (the Borderlands is where Maxtons and Maxwells lived). Again we see a footless martin, but also the Bauer stars that became the colors of the stars in the EU flag. Moreover, the colors of the Massey fleur-de-lys are used by the Failin/Phelan Chief. The side of Ranulph le Meschin leading back to the Rollo-family Rus was Briquessart, and I've shown a few times that the Irish Brick/Bruic Coat is exactly the Failin/Phelan Coat. Then we find that the Brookings surname is said to be from "Broc" (of Anjou) and that the Brookings Coat uses scallops in two colors found on the scalloped Meschin Coat. The family name was first referenced in the 12th century [Shropshire]. Richard, son of Mescelin [like "mascle"], held the estates in 1187. He is believed to be descended from William de Meschines, younger brother of Ranulph, 3rd Earl of Chester, who was descended from the Viscounts of Bessin, in the Department of Calvados in Normandy, and who held the honor of Skipton, in Yorkshire, from Richard Banistre, a Norman Baron of Cheshire who also held lands in Capite in Shropshire. Robert is mentioned as witness to a deed in 1106. There is also a vague relationship to Robert of Rhudlan, kinsman of Duke William [the Conqueror]. The Rutlan/Rutland Coat ("Post" motto term perhaps for the Piast Poles) uses Massey colors and what should be the Massey horse. You may have read where I suspect the anti-Christ to come from the Mitch and/or Mick/Mickey entities linking to a mouse symbol that I view as code for Muses of Maastricht/Meuse domains but also certain areas of Normandy such as Mousquette: "The [Rutland] family name was anciently seated as Lords of the Manor of Mitcham in Surrey...Mitcham was recorded as being held by the Canons of Bayeux." The Bayeux=Bessin is where the Meschins lived, and entering "Mitch" brings up the Muschat/Muschet surname of Montfichett in Calvados (the Bessin is in Calvados). The English home of the Mitch/Muschat surname was Essex, where the Brookings were first found. The big-bank Chase surname (three-fingered cross) was likewise first found in Essex, and I'm wondering about links to the Case surname using what looks like the Kay Shield. I'm glad I went to the Kay page because the Scottish Kay/Key Crest uses a griffin with key in mouth, while the Chase Crest uses "A griffin's head holding a key." That can only mean that Chases were Kays. The Chase griffin is the green Leslie griffin while the Case Coat uses buckles as does the Leslie Coat. Then, the Scottish Casey Coat uses the Leslie (and Save) Shield. Not only do I trace Kays/Keys to key-using Sheaves/Shaws/Shays, and they back to the Save/Sava river (I saw evidence of Pharisee stock at and around that river), but the Caseys were first in Lanarkshire, which uses a red heart on white, a symbol I traced back to Sava-related Saracens. Irish Caseys look interesting on multiple counts, including their ancestry in RATHconan Hebrews. Compare the Austrian Rath colors to the Chases and Cases. Mythical Kay was also "Cai/Caius," while the Chase surname shows a Chaise variation. I'm keeping in mind my trace of the Kay/Cai stock to Ananias, father of Caiaphas, for there appears to be a link of the Chases to the Bruces of Annan(dale). Those Bruces had previously been in Yorkshire, and that's where the Kays were first found. Moreover, the blue lion in the Chase Coat is in a corner of the Shield, just like the blue lion of the English Bruce Coat. But the point of quoting the Meschin write-up was the Skiptons, for the banking-family Schiffs are said to be named after "Ship," and I traced Shiptons to "Skipton." At that time, Skiptons were traced to Veres (who were not only Massey-colored but lived in the same Normandy area of Manche as the Masseys). The German Schiff Coat (red Shield) uses a raven as does the German Rothe Coat. The ring in the beak of the Schiff raven smacks of the raven with ring in beak of the red-Shielded Polish Berenec Coat. Always keep in mind that Ranulf le Meschin traces to Polish royals that I identified as a Seleucid bloodline (of Silesia), for the anti-Christ of Daniel 11, who worships precious stones, is a Seleucid in some way and/or will revive the Seleucid empire. The Macks that head the Brookings Institute were first found in Berwickshire, the bear-depicted location of the Bernicians. Coincidence? Was this bear cult not the Arthur bear cult since the Arthur surname (pelican), in Massey colors, was first in Berwickshire? The Ship Coat uses "bellows" as symbols, and an eel in the Crest. Hmm, Irish Caseys came from Carroll-named princes of Ely, AND ZOWIE the Irish Carrols of the Ely clan use "Bello fortis" in the motto, supporting my trace (I didn't know about the Carroll motto then) of the bellow symbol to the Bellow surname of Cheshire. The latter use cinquefoils in Leicester-cinquefoil colors, the cinquefoils that I link to the Rodham-Coat cinquefoils because I thing Rodams were from Rutland of Leicester...which should link to the Meschin-related (and possibly Skipton-related) Rhudlan surname. There is a Rhudland location in what was once Flintshire (Wales) that could apply. It's Arms use keys. YES, for we also read of Robert de Rhudland found in the Meschin write-up: "Twthill (Welsh: Twtil) is a Norman castle located near the town of Rhuddlan, Denbighshire in Wales...erected by Robert of Rhuddlan in 1073 at the command of William the Conqueror to consolidate Norman advances into the north of Wales." It evokes the Toots of Yorkshire (where Skiptons lived), using the same corner box as do the Bruces and Chases (which box I had traced to the Magdalene "holy-grail" cult). At this point, I have just got to say that I was exchanging emails some five or more years ago (near the start of the surname hunts) with one having a Tuttal surname. She asked me to investigate the Toothill location. By that time, I had suggested to her that Tuttals could trace back to my own Taddei bloodline (TADOLini variation shown) , for I suspected that the latter's red triple chevron linked to the triple chevron of the Welsh capital (Cardiff, in GlaMORGAN), and that there should therefore be a Taddei link to "Tudor" (both surnames are said to be rooted in "Theodore"). But today I see that the Chase Coat uses white three-fingered crosses on red, the Taddei-Chief symbol. The problem is, aside from this I don't think I've made a hard Chase link to Rhudlans, though the Leicester cinquefoil is in Taddei- and Chase-cross colors. Again, the Rutland/Rotland surname is from Mitcham (Surrey), meaning that the Mitcham/Mitchell surname of Surrey applies. It uses an obvious Meschin-Coat variation (see also the English Mitchell Coat). The English Mitcham Coat (hearts) uses a blue-and-gold dancette, the symbol in the Arms of Rhudland. The Arms of Surrey, like those of Rhudland, use two keys. The Mitcham write-up says that the Mitcham location in Surrey is "today in the London Borough of Merton, London)." I linked the Merton Coat (probably an aspect of Merlin=Myrddin) to the Merey/Merit Coat, and the latter was supposed (by me) to be the bottom of the Mary aspect of the Magdalene cult. The cult had been originally suspected (by me) in the Dallen/Dalane surname with a red-on-white lion, the color of the French Merrey/Merrie lions; the latter Coat uses the corner square mentioned above. Hence, conjecturally, the surname is descended from the tenant of the lands of Mere, and Norman noble named Mera, who held from Gilbert de Venables, originally of Venables near Evreux in Normandy [near Avranches]...Gilbert's main barony in Cheshire was at Kinderton, which he held from Hugh [D'Avranches] Lupus (The Wolf,) Earl of Chester. The Bellows (lords of Moreton), first in Cheshire, use a wolf as Crest. The Shipton/Ship Coat, if you've forgotten, uses "bellows." Ships/Shiptons were from Bessin elements, but in England were first found in Oxfordshire, where the Basset-related DaMorys/DaMerys (talbot dog) were first found. Bassets (of Drummond/Marina stock) were from GlaMORGan/Morgannwg. Bassets are easily linked to Drummond founders of Ross-shire, as per the basset motto linking to the Pattersons that were first found in Ross-shire. Bissets (Leslie/Save Shield and Rodham tree stump in Leslie-griffin green) were first in Ross-shire and should therefore be the assumed Basset clan of Ross-shire. Both Leslies and Drummonds were from Hungarian royals/nobles. We get it. I have every inclination to trace Drummonds, and the Maurice name, to the Marot Khazars on the Mures river, The Moreton Coat even uses buckles (a Leslie symbol). As per the Kinderton location of the DeMeres and Meres, the Kinders use ravens, a symbol I traced to Drummond stock of Shetland. Maurice Drummond was the pilot of a ship that brought Hungarian and English royals and nobles to Scotland, and the Arms of Shetland use a ship (with raven on the mast)...and a unicorn, the symbol of the Basset Crest. We get it. The Kinder ravens surround a single pillar, suggesting the Pillar surname in Mere/DeMere-ship colors. As the Pillars are also "Pile," the pile symbol of the Guiscard Coat comes to mind. Recall that the Pile Coat uses nearly the symbol of the Guiscard Coat, but let me now say that the Pile Coat too uses the corner square. Did you happen to notice that the Kay motto includes "Kynd"? In the Kay write-up: "The "Mac" prefix seems is difficult to clarify. Some Mackay (Macaoid) families may have shortened their name." After reading that this minute, I thought first of all to check "McAde," and got a black on white ship! McCades are interesting for using Macey/Mackay colors and being first found in Perthshire, where some Kays lived. The McCade write-up suggests by implication possibly links to the Keith Catti (I'm saying this for my trace of Keiths to Mackays proper). As per my trace of Kays indirectly to the Ananes and Laevi Gauls (because I trace Kays to Ananias and Caiaphas), I now see that the McCade write-up traces to Adam (I don't think that Adams were the root of the clan, however). Not only does the English Adam Coat use stars in the Moreton colors, but Adams were first in Annandale, and uses a red cross on white, the symbol of the Anna(dale) Coat! PLUS, the Moreton surname entered the discussion as per the Moreton location (Cheshire) of the Bellows surname, smacking of Bellovesus who led the Anane and Laevi Gauls. !! Some Annan variations reminded me just now of the Ince/Ines surname (Cheshire) using Annan colors and with a Kay-like Shield!! The Innieney variation of the Annans demands a look at the Innie Coat, properly the Kimmie/Kynnie surname. This is a Keith-related clan, moreover, and uses "Je suis prest" for a motto, which is what gave me confidence to trace it to the Sais location (Nile delta) that was home to Kimmie-like Chemmites/Kemites. As you can see, the clan wishes for us to link it to "Jesus the High Priest," but in my opinion the real priests to which they trace are the Pharisees. The Priest/Prest/Press surname uses a footless martin, and Innie and Anann colors. The Annies/Annabels/Hannibals of Yorkshire come to mind, link-able to the Hannas and Hands/Hants (Cheshire). The Hants (Innie/Kimmie colors) were from Hants, Hampshire, and to the northern side of Hampshire was Ampton. I say this because the Ampton Coat uses blue-on-white- cinquefoils, colors reversed of the Innie/Kimmie cinquefoils. Let's not forget the RosyCross-like Cart Coat with Annan saltire, and four surrounding palm trees that could be code both for north Africa (where Cart-like Carthaginians lived) and the Hand surname. Also, the Welsh capital, CARDiff, could apply, as the Cardiff-surname Coat uses Moor heads. This is staggering, for the proposed Taddei link to Cardiff above, which I didn't think could be proved after years of not finding evidence, can now be proved (I had failed to check or emphasize the Cardiff surname), for the Cardiff Moor heads are used exactly by the Bouillon Crest, while the latter's Coat uses the Taddei cross in the same two colors!! It's even more staggering that Taddeis should link to the bloodline of Godfrey de Bouillon. Again, Hannibal Carthaginians founded and/or named Sulcis of Sardinia, the place to which I trace king Mieszko of Poland (others trace him to Sardinia in general), and therefore the place to which I trace the Meschins. Again, Sulcis was also named Antioch-like, and Antioch was the capital city of king Seleucus I, wherefore I trace the Sulcis line to "Silesia" to anti-Christ related Seleucids. I've got to say, never in my wildest hopes did I hope, not many years ago, that the bloodline hunts could identify the anti-Christ cult as has been in surname discussions relating to the Meschins. It convinces me that my own Masci bloodline (that of my mother's) is the reason that I was Called to this task. I never thought for a minute that Masci stock would be at the root of Rothschilds and other leading international-banker clans. Never would I have guessed that Masci stock was the foundation of "Mason" and Templars. I didn't have a clue as to the Rus roots of the Masci surname, let alone in the Rollo Rus. This all convinces me that I was Called to Biblical prophecy for just this reason. Why Morgan Stanley? The Stanley Coat uses the Annie/Annabel/Hannibal stags on a Hants-colored Shield. A viable theory is that "Stan" links to Sithone elements of "Sitten/Sion" (Switzerland) because the Stanley Coat is colors reversed to the Save Coat; I trace the latter to Savona swan-line Ligurians that I link to Scandinavian Sviones, which Tacitus said were like the neighboring Sitones...whom I trace to Sithones (of Thrace) and mythical STHENelus of Liguria, supposed (by me) to be the founder of "Sitten." The Savones of Devon (who are Sabines, the ones I've traced to "Savona") are in Save colors (though Savones use a so-called "royal blue" Shield). English Sabines use a scallop in Save-snake colors. 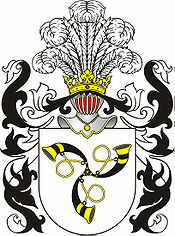 Let's not forget that the Sion/Swan Coat (Macey/Mackay Shield, in Save colors) with Scandinavian variations such as "Swein" uses the lion design of the "Jewish" Levi Coat, the swans attributed to Godfrey de Bouillon, and the red-on-white heart that I traced by other means (I think it was before I knew of the Sion variation of the Swan surname) to Sava-river Saracens/Moors. It's possible that "Cardiff" is not to be understood as Car-Diff or Car-Taff, but rather Cart(hage)iff, where the "iff" is merely a suffix (perhaps from the Greek "ops/opa"). In any case, there you have a Taffo-like river at Cardiff. I'm amazed. Then we read: "The antiquarian William Camden (1551-1623) suggested that the name Cardiff may derive from the name "Caer-Didi" ("the Fort of Didius"), given in honour of Aulus Didius Gallus, governor of a nearby province at the time when the Roman fort was established.]" That Roman could easily make the Welsh link to the Italian Taddei surname. Finally, I just checked the Standish Coat because I had traced the Arthur-surname motto to the Standish, Stand, and even the Stanley surnames. The Standish Coat uses the Annan(dale) saltire!!! This is not the first time that I've traced the Arthurian cult to the Pharisees. US President Barack Obama has bypassed the US Senate and directly appointed four new ambassadors, including Robert Ford, who will become the first US envoy to Syria since 2005. ..."Making undeserved concessions to Syria tells the regime in Damascus that it can continue to pursue its dangerous agenda and not face any consequences from the US," Republican Rep. Ileana Ros-Lehtinen, the incoming chairman of the House Foreign Affairs Committee, said in a statement. "That is the wrong message to be sending to a regime which continues to harm and threaten US interests and those of such critical allies as Israel." The administration had argued that returning an ambassador to Syria after a five-year absence would help persuade Syria to change its policies regarding Israel, Lebanon and Iraq as well as its willingness to support extremist groups. Syria is designated a "state sponsor of terrorism" by the State Department. It's the same Obama as two years ago when he thought that his talking with Arabs could dissuade them from hating Israel. Only this time, he's worse, showing dictatorial colors as he snubs the Senate, and especially those Senators that are now, essentially, his Republican "bosses." The duck never learns; he's now positioning himself straight into the buckshot of his political enemies. The talk is that, rather than surrendering to the will of election defeat, he's going to make a come-back. His Democrat friends are spurring him toward a come-back. What do we expect Robert Ford to do in Syria? I would suggest that Obama will dangle some financial bag(s) in Syria's face in attempts to make it do the O-shake. I see that both Ford Coats use footless martins, the symbol of the Singletary Coat (Obama's mother's Dunham line was specifically from a Singletary clan). The Singletary martins are in a different position, in swift flight. Remember, "The word 'martlet' does exist in English as the name of a swift or martin and appears to have been confused with the French 'merlette' (merle) because of its similarities to the word 'martlet'." And the Singletary Coat uses a triple chevron in the colors of the same of the Arms of Cardiff, a topic of yesterday. 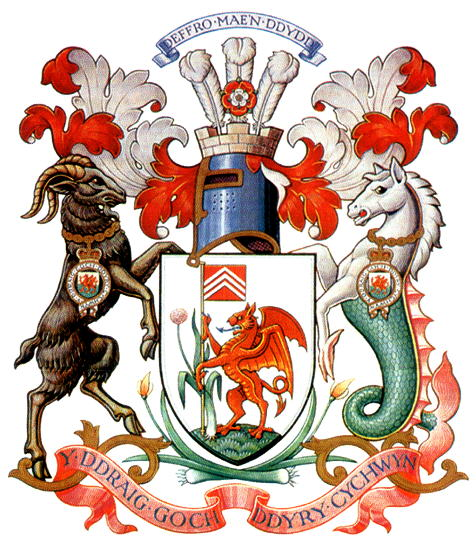 There in the Cardiff Crest are the Tudor ostrich feathers (in white), a symbol in the Crest of the Traby Arms. My theory in past days has been that the 666-Pforzheim (the city's SWIFT code) is linked to the 666-like Arms of Traby, and so note the Ford-like "Pforz." The Ford Coat shown above uses the same style border as the Sellick/Seliocks Coat, and if there is a fundamental link between the families, that could link Fords to the Seleucids that I see in the Sellicks. The other, Irish Ford Coat uses a Shield design like the Wolfleys, the latter being another Obama bloodline. As Wolfleys were first in Cheshire, they may have been the reason for Hugh "Lupus." The latter's mother gave birth to Ranulf le Meschin who married a Talbot that used (or came to use) the same-style border as Sellicks and Fords. I've noted the similarity between "martlet" and Martel, and that the French Martel Coat is in the white-on-blue of the French Martin Coat. Moreover, the latter uses a white-on-blue triple-towered castle, a symbol of the McLeods...the surname of which I trace to the Clode variation of "Clovis." Like Clovis, Charles Martel was a Merovingian. The same castle (almost) is used by the English Fort Coat (uses Bessin bee), suggesting links to Fords. AND, as Martel was from the Pepin bloodline, I see that the French Pepin Coat is likewise white on blue (Clovis/Franks used gold-on-blue fleur). The Pepin Coat uses the Kay and Kinner bird, possibly revealing that mythical Ector=Cyner and his "son," Kay, were Merovingians of the Pepinid order. French Forts use the same bird (!) and were first in Gascony, where French Martins were first found. I suggested that the "Hold fast" motto of the McLeods was code for the Swift clan. Moreover, I had traced another variation of "Clovis" to "Lothian," which is where Edinburgh sits, where the blue-on-white Formons (martlets) were first found. Long before I came to the Pforzheim topic and its trace to Forets/Forays to Fifeshire and Forfar (the latter in Angus), I showed that Kinners were first in Fife, that Ectors (mythicized as the foster-father of king Arthur) were first in neighboring Angus, and that Kays were in neighboring Perthshire (the Kay motto includes "Kynn"). I also commented that the Innes surname (uses the McLeod castle) was from Angus-clan elements, which seemed to imply that "Innes/Inice" and "Angus" are related terms. That's important for the recent trace of the Innes term to the Enz river where Pforzheim sits. Remember, the Innes-related Ince clan use a Shield like the Kay Shield. Variations of the English Martel (with hammers) clan include "Mortel," evoking the code, "Le Morte d'Arthur." I think that code also links to mythical MORDred, the one who killed Arthur. The point here is that the Morte/Mott surname, in Pendragon colors, was first in Essex, where the Martel/Mortel surname was first found. It's very Mort/Mott interesting that "MORDred" was also "MODred." Let's not forget the Merit/Merey surname with a Coat design just like the Ector Coat. We will see (below) the sun used by the Ectors in a French-related Martin Coat. I've suggest that Mertons/Murtons are related. I think we have an excellent match in all this to identify Mordred as the Morte/Mott clan. That may suggest Medleys, Motleys, Modleys, etc. I recall including the Moberleys/MODburleys in with the above, and they use a Coat much like the English Martin Coat. The Modburley Coat is also the Washington Shield, and as I traced (proto-Washington) Wassas/Gassons to "Gascony," I see that French Martins (the ones with a McLeod-like castle) were first in Gascony. Irish Martins (white-on-blue colors of French Martins) shows a Crest with six-pointed "estoiles," while the Morte Crest uses a "silver estoile of eight points ." The six-pointed estoile is used also by the Bute Coat (colors reversed to the Vey Shield), very significant where I identify Avalon (the place of Arthur's morte=death) as the island of Bute. The Bute motto, "Possunt quia posse videntur," must be code for the French Posse/Pouzin surname because it uses (only) suns in Bute colors, while the same sun on blue background is in the Irish Martin Coat. It's peculiar (this is hot off my press) that a shown Posse/Pouzin variation is "Fors." Entering that term brings up an English Forzer/Fors surname with Pouzin-like Fousse variation. It all smacks of "Pforz(heim)." If there is as link, there appears to be a Pforzheim link to Bute, and that jibes with the Ford martins and with the Martin-surname link (above) to Bute. This has got to be important for tracing Merlin=Myrddin (a male witch) to Morgan le Fay (a female witch) of Avalon. Carmarthen(shire), where "Myrddin" is traced (by others too), is beside Morgannwg/Glamorgan. My hunch was that "Morg(an)" was linked to "Moray," and I now find, not only that the Scottish Foray/Fore/Forres surname (held a seat at KYNlos) was in Moray, but that it uses black-on-gold fleur, the symbol of the English Pepin Coat! That's very good for my trace of Merovingians to the naming of Moray (that was also "Moravia"). Remember, the Gyula Khazars on the Mures are highly suspect as the founding bloodline of Moray, and they were from a Carolt, smacking of the Carolingians...who were named after CHARLES Martel. Easily, one deciphers "Merlin" and "Myrddin" as the Martel Merovingians. The German Martin Coat uses the same style lion as the Sforza Coat. The latter is said to be linked to "forcer," and entering that term brings up the Forser/Fors Coat. The latter surname was first in Durham, where English Morrits/Merits were first found. I'm assuming that the green-shielded Foret/Forez surname (in Morgan colors) was from Lyons-la-Foret (Normandy). The Lyon Coat is a white lion on green Shield, while Morgans use a gold lion on green Shield. The point now is that Maine, France, where the Fors/Pouzins were first found, was not far from Lyons-la-Foret. The latter location "is the end of Vexin normand[,] and the forest of Lyons around the town is the border with Pays de Bray known for its traditional bocage landscape of woods, orchards and cattle economy." The Bray surname brought up symbols that were slated for yesterday's Schiff topic, but was neglected. "Skiff" was entered to find "augusta" used twice in the motto, while the Italian August Coat was found to use eagle legs, exactly the legs of the Bray/Brai Coat. This reminds me of my Bray trace to a the people of Bra called "Braidesi" (off the Stura river in Cuneo = interior Liguria). For whatever it could mean later, I was going to say yesterday that the August legs use upper parts that are exactly on the eagles' legs of the Hixon/Hickson Coat. I suspected that Hixons trace to Ixion Hyksos that were traced to the Cyner=Ector cult (= the Hector/Ector surname). We see Paris and Troyes in that quote, known to be from the mythical Hector>Paris Trojans. AND LOOK, the Irish Rochefort Coat (in Roque/Roquefueil=Rockefellers colors!) uses the Kinner and Kay bird! These Rocheforts were in KilKENNY. Did you notice that Brays=Rocheforts married into the Puiset clan? Paris is not far from Maine...where the Fors/Pouzin clan lived, which have Pozet, Possot, Posset, and Pozzet variations. In this picture, especially if the latter clan were from Pforzheim, the Maine region of France could trace to the Main river where Frankfurt is situated. Likely, RocheFORTS were the German Forts/Fortin/Forters, for both use the same white-on-blue lion. Again, Italian Forts/Fortins (from Ferrara) use the Stuttgart horse, and that location (on the Neckar) is very near Pforzheim. The Fallis surname is traced conjecturally by its write-up to "Falaise," and it too uses a blue-on-white lion. The surname was first in Lothian, recalling the same-colored Formons of Edinburgh. I have every inclination to link "RockeFELLER" to "Falaise" and "Valais" elements. A few years ago, I traced the Bra location of Cuneo (a KYNer-like term) to the Mowbray surname: "The name, however, is a reference to the family's place of residence prior to the Norman Conquest of England in 1066, Montbrai, in La Manche, Normandy." Manche is where the Masseys and Veres lived, and I traced Ver/Fer to "(Mont)Ferrat," near Bra, and moreover Italian Mascis lived in the Cuneo region (Piedmont). The Mowbray Coat uses a white lion on red, the color of the Montfort Coat (I had traced Montforts to Monforte in Cuneo, and suspected that Montferrat was related). All this was in the chapter, Betty Rubble in Thuringia, a location that could link to Turin of Piedmont. The Brays were from Bray near Evreux, and as they use a "flax breaker" for a Crest, I would suggest it to be code for a branch of the Ebroicum Celts (founders of Evreux). The Fallis/Falaise Coat above was searched as possible identification with the flax term. The Ebroicum were founders of York (in my opinion), though the Parisii of Paris are also said to have founded York. I suggest that the Brays were Abreus>Bruces, named from the Ebroicum, or better yet from their Eburovices branch in northern Italy. In a Bray connection to the proto-Bruces -- who were from Bray-like Bruges (Belgium) -- we can suspect links to the Ananes and Laevi on the Po. Bray-Coat colors are also the Brugg/Bruges colors. The peculiarity of the Hixon/Hickson surname (Cheshire) is that it's said to derive in "Richard" (in case you've forgotten, the Hixon eagles legs are like the Bray eagles legs). I don't believe that, but I do see potential links to the Richard surname (Macey/Mackay Shield in colors reversed) of Yorkshire. It uses a blue on white lion, the Bruce of Yorkshire symbol, but I think also of the Louvain blue lion, for Louvain is near Bruges (Belgium). French Richards (English-Richard colors) were first in Brittany, evoking Alan the Red (from Brittany) who was given Richmond. The Richmond surname was likewise first found in Yorkshire. The Hicks/Hix' were also first in Yorkshire, and that for me clinches the Hix/Hicks link to the Brays. German Richards/Reichhard were first in Bavaria, and they use what should be a version of the Austrian Fugger Coat, for German Fuggers were first in Bavaria. In the article that started today's update: "The other Obama nominees announced Wednesday are Matthew Bryza for Azerbaijan, Norman Eisen for the Czech Republic and Francis Ricciardone for Turkey." The Eisen Coat (another "Jewish" name), white on blue like the McLeods-et-al, use Bauer wings (almost) in the Crest. I didn't know about the Bryza surname in the above quote when I fell upon the Brays today. Nor did I know about the Ricciardone surname when falling upon to Bray/Hix-related Richards. Coincidence? Isn't it true that Obama represents end-time Hyksos, the Danaans that evolved over long centuries into the Dunns/Dunhams from Devon's Daphne elements? ...Al-Khalidi said the Al-Iraqiyah bloc [Allawi's party] proposed that council decisions be adopted by a two-thirds majority, whereas the National Alliance wanted 100 percent unanimity in order for a decision to be approved. They compromised on an 80 percent majority. Recommendations need a simple majority of 50 percent plus one vote to gain passage. Maliki's suggestion of 100 percent is laughable, but he's the one laughing anyway because it will be near-impossible for the Allawi side to muster 80 percent. The article says: "Osama Jamil, a member of the Kurdish parliamentary bloc, told RFI that the council is unlikely to adopt decisions opposed by the Kurds, although in theory the two big blocs -- the National Alliance and Al-Iraqiyah -- could collude to ensure the required 80 percent majority for decisions." The problem is, "The three politicians separately told RFI that [Maliki's] National Alliance will nominate 50 percent of the council's members, Al-Iraqiyah 30 percent, and the Kurds the remaining 20 percent." I don't see how that spells 80 percent for Allawi even with the help of Kurds. Hmm, we also read: "Meanwhile, Kurdish parliamentary bloc member Mahma Khalil told RFI that as the Defense Ministry would be headed by a member of Al-Iraqiyah and the Interior Ministry by a National Alliance member, it was only logical that the Kurds would control the National Security Ministry." That gives the defense of Iraq to Allawi (who won mainly Sunni voters) and the Kurds. In that picture, a military coup of the Maliki government seems easy. We await the wild Joker to pop up on the Iraqi table. We await to see who's side he'll be on. It's 2011, the year of lame ducks globally, a perfect time for the Hunter to come out like an ambush from the reeds. Isaiah 10 says that he'll take nations without so much as peeps...or quacks.